Several private equity firms are understood to be circling Homebase as the DIY chain's Australian owner Wesfarmers plots an escape from its ill-fated ?340m takeover. Hilco, Endless and Lion Capital are among the groups eyeing a potential bid, with bargain retailer B&M also weighing an approach, sources said. It is unclear at this stage whether any bid would be for the entirety of the business, part of it, or, in B&M's case, a chunk of Homebase's store estate. 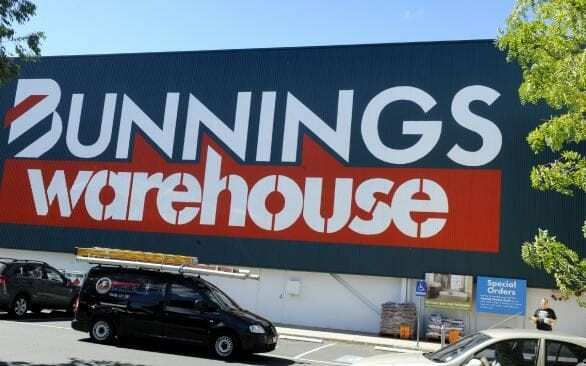 Wesfarmers appears eager to offload the troubled retailer after their 2016 takeover turned sour when customers failed to respond to a sweeping overhaul, including renaming stores to the well-known Australian brand of Bunnings. Such have been the woes of the UK business that it announced in early 2018 that half-year pre-tax losses had deepened to ?97m, sinking from a ?28m loss the year before. Customers failed to respond to an overhaul that included rebranding stores as Bunnings. The group blamed the deterioration on the "rapid re-positioning" of Homebase and tough trading conditions in the UK. It added to the misery surrounding the deal, with Wesfarmers revealing in February that it had embarked on a business review of Homebase. The move could lead to 2,000 job losses and 40 store closures across the UK and Ireland. The emergence of potential bidders comes after reports that investment bank Lazard had been tasked with sounding out buyers for the UK operation. A sale would mark a bleak end to Wesfarmers' foray into the British market after snapping up Homebase from Home Retail Group two years ago. Homebase's troubles add to the gloom engulfing the British high street following a spate of restructuring and refinancing deals in the face of bitter trading conditions. Rampant inflation, rising business rates and a hike in the National Living Wage have created a cocktail of pressures that have hammered margins and pushed some retailers to the brink. Fashion retailer New Look has driven through a company voluntary arrangement, allowing it to close 60 poorly-performing stores and renegotiate rents. Carpetright is exploring a similar restructuring strategy, while Mothercare is locked in talks with lenders as it seeks additional financing. Homebase operates from 250 stores and employs 12,000 people in total in the UK.